The Cleveland Courage Fund, a charity established to help Amanda Berry, Michelle Knight and Gina DeJesus, has raised more than $480,000. The Cleveland Plain Dealer reports that there have been over 5,100 donations from all 50 states and several foreign countries. 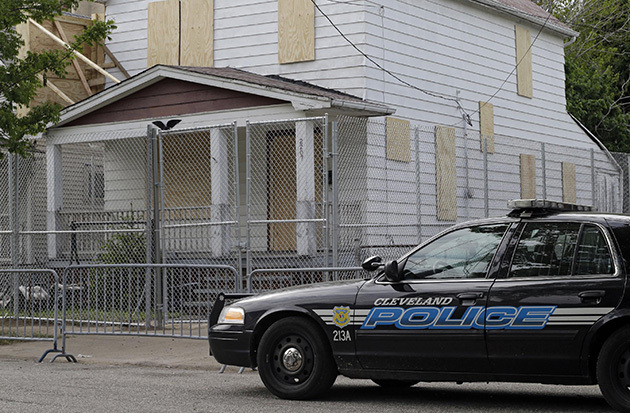 Berry, Knight and DeJesus were allegedly held captive for roughly a decade inside the home of suspect Ariel Castro. Lawyers for Castro have said their client will plead not guilty. Key Bank is providing financial guidance to the three women, according to the Plain Dealer. The bank is not taking any compensation for its help. The money will go into trust funds established for the victims. Smaller businesses are also assisting the three women. Lakewood Patch reports that Angelo's, a pizza shop in Lakewood, Ohio, recently raised over $35,000 for Berry, Knight and DeJesus. The pizza shop gave 100 percent of the proceeds from an evening's worth of sales. In addition, the employees donated 100 percent of their pay from the night to help the victims. Hodges, a Cleveland restaurant, raised thousands of dollars by selling T-shirts featuring the picture of Charles Ramsey, one of the men who helped rescue the women. Ramsey works as a dishwasher at Hodges and is currently on paid leave, according to the Plain Dealer.